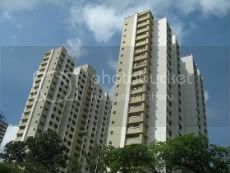 The Singapore government yesterday fired a clear signal that it intends to keep private homes affordable by announcing its land sales programme for the first half of 2010 earlier than expected. The 10 new residential sites introduced through the confirmed and reserve lists will allow developers to build many more homes — some of these in executive condominiums (ECs). There will also be more plots in less pricey regions. The upcoming confirmed list is striking not just for the number of sites on it. Two of the eight parcels are designated for ECs — a hybrid of public and private housing with resale and other restrictions. These developments cater particularly to those who can afford more than an HDB flat but are still priced out of private property. Another notable point: the 26 residential and mixed-use sites on the confirmed and reserve lists are all in the outside central region (OCR) and rest of central region (RCR), where cheaper homes can be built. Of the potential supply of 10,550 units, 9,220 will be in OCR while the remaining 1,330 will be in CCR. According to Urban Redevelopment Authority (URA) land sales and administration senior group director Choy Chan Pong, the market has been waiting for updates since National Development Minister Mah Bow Tan said in September that the confirmed list would be reinstated. “Since people say there is some anxiety about housing supply, it’s better to tell people now,” he explained.